Over the last few months, there has been noise about online poker perhaps becoming legalised in the Golden State. The changes in the laws regarding online sportsbooks in the USA has led many to believe (with no small amount of hope) that California online poker sites might not be far behind. Any possibility of that now happening, though, seems to have been suppressed for the time being. Recent law changes have made it possible for US states to decide on sportsbook betting for themselves. That has naturally raised other questions regarding online poker and casino games. If sports, then why not poker? Many see the opening of the US sportsbook market as the pathway to online poker. While many of its fellow states are setting up legislation and regulation for online sportsbooks, it does not appear as though California will be following suit. 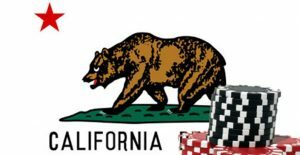 The state does not wish to amend its constitution (something it would need to do to facilitate sports betting) and that, in turn, would have a knock-on effect for any California online poker sites which would naturally follow suit. To legalise online gambling in the state, 2/3 of the chamber needs to get behind the program, and voters must also agree via a ballot. Thus far, the votes just don’t seem to be there. However, should Assemblyman Adam Gray (the brains behind the charge towards legalised online sports betting) get his votes next year, it would be another year or so before the legislation would be set up and regulation ready to govern the market. The same process would naturally apply to any California poker sites which wanted to get involved. In short, it could take years to pass such legislation. Spanners are likely to be thrown into the works by the public and the anti-gaming lobby, too, not to mention anti-gambling charities and Native American reservations. The latter are fiercely protective of their exclusive gaming rights, and any attempt to level the playing fight would likely be met with stiff resistance. The debate over whether the state should facilitate the legalisation of California online poker rooms is a long-fought battle. Barely a year goes by without the topic being discussed. Assemblyman Reggie Jones-Sawyer has been battling the case for years, but even he concedes that this year, it is unlikely that the powers that be will be discussing the issue. Of course, there are those who still have hope. By pinning together sports betting and/or casino gambling with poker gaming in one package, they believe that all could be achieved in one fell swoop. Even if that were the case, you’d still have a lengthy process of voting, a public ballot, and constitutional changes to consider. While one cannot rule out California online poker rooms appearing in the future, it certainly doesn’t look as though Californians will be sitting down at their computers to play online at any point over the next few years at least. This entry was posted on Tuesday, September 11th, 2018 at 4:35 pm and is filed under Poker News. You can follow any responses to this entry through the RSS 2.0 feed. Responses are currently closed, but you can trackback from your own site.